I’m really proud of the progress Sarah and I have been making at the Writing Smithy over the past few months. Recently Sarah and I have been guest blogging about our work at the Smithy for Andrew Oldham. 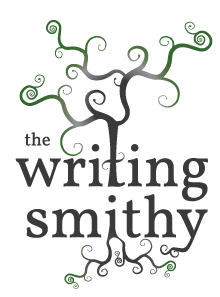 We do have plans to extend the Writing Smithy website by adding a blog – where we’ll expand on some of the topics we brought up in our residency. But in the meantime, you might be interested in these posts. This entry was posted on Sunday, August 14th, 2011 at 12:22 pm	and is filed under ideas, teaching, tips. You can follow any responses to this entry through the RSS 2.0 feed. You can leave a response, or trackback from your own site.